Xbox 360 LIVE 12-Month Gold Card: Only $3.33/month at Walmart! Xbox 360 LIVE 12-Month Gold Card is at Walmart for only $39.96! Free site-to-store shipping and will arrive on or before December 23. That’s only $3.33 per month for access to all your favorite Xbox live features! This retails for $59.99, and can be found at Amazon for $49.99. 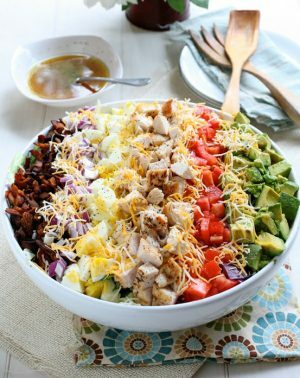 You can use these coupons to make a Cobb Salad! This is a Classic Cob salad that I add a little to. I like to always add nuts and I am adding parmesan cheese this time as well. 1. Cook bacon until crisp. Reserve bacon fat to cook chicken in if desired. Salt and pepper chicken. Grill chicken or cook in bacon fat for extra flavor. 2. Add lettuce to a large bowl. Top with cooked and chopped chicken, crisp bacon, chopped hard boiled eggs, avocados, onion, tomatoes and cheese. 3. Combine lemon zest, red wine vinegar and agave syrup for salad dressing to a small bowl. Whisk in olive oil. Add salt and pepper. Walmart Price Match Kroger: I Can’t Believe It’s Not Butter = $.99! Now through 12/20 price match at Walmart I Can’t Believe It’s Not Butter for $1.99 found in the Kroger ad. Use the $1 Off printable coupon to make it only $.99! If you don’t have a Kroger or Kroger Affiliate (click to see affiliate stores) nearby you can still get a pretty good price on I Can’t Believe It’s Not Butter at Walmart for $1.43 after coupon. 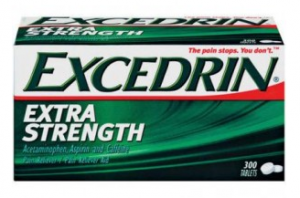 Excedrin only $1.24 OR possibly free! 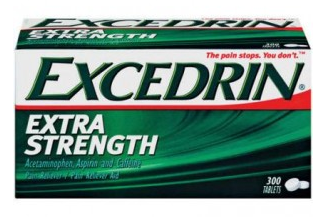 The $2/1 Excedrin coupon is still available to print. This makes for some cheap to free Excedrin at Walmart. The 20 count is around $2.30 at many stores and even as low was $1.97, making them free with this coupon. If you are a CVS shopper, next week there is a really good sale, unfortunately it involves ECB’s and so you can’t price match it at Walmart, but it is still a good deal. You can see it HERE. Centrum ProNutrients Only $2.97 at Walmart! Here’s a good deal on Centrum ProNutrients I found at Walmart. With the $7 Off ProNutrients coupon in last weeks SS (12/11) you’ll pay only $2.97 for the 50ct or $10.97 for the 100ct bottle. Coupons.com also has $5 Off ProNutrients printables for the Omega-3 and Fruit & Veggie making the 50ct $4.97 with coupon. Just a quick reminder that the $5/1 Parents Choice formula coupon is still available for printing! This is a rare coupon & makes the infant formula only $7.88 at Walmart. Go HERE to see all the baby feeding coupons also still available.